Of all the nonsensical concepts in the world of consumer credit, perhaps one of the least intuitive is that it can actually harm your credit score when creditors pull your credit. I mean, the very reason we have credit reports is for creditors to check them, right? Right. But that’s not the whole story. In the eyes of future lenders, each one of those hard credit inquiries represents more than just a request for a new credit card or loan. To them, each hard credit pull is actually a potential attempt to take on more debt — debt that could keep you from repaying your new creditors. This concept can be especially damaging when shopping for the perfect credit card. Not only will each card have its own credit qualifications, individual issuers may also have their own meticulous requirements (think Chase’s 5/24 rule) that can leave you rejected despite killer credit scores. 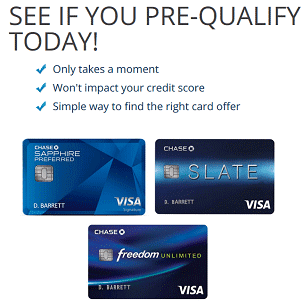 You do have an option to avoid the sting of wasted credit inquiries, however: credit card pre-qualification. Credit card pre-qualification, also called pre-approval, is a great way to get a feel for your chances of being approved by a particular issuer. Rather than filling out a complete credit application for a specific card, which will automatically result in a hard credit pull, credit card pre-qualification involves a less formal look at your credit. In fact, the key to credit card pre-qualification lies in the fact that there are actually two types of credit inquiries: hard inquiries and soft inquiries. Pre-qualifying for a credit card can give you an idea of your chances for approval without impacting your credit score. Hard inquiries are the ones that do the damage, visible to anyone who checks your credit report and nipping at your score like biting flies. Hard credit inquiries are generally initiated by the consumer when applying for a credit line, such as credit card or charge account. Soft credit inquiries, on the other hand, can be initiated by the consumer — such as checking your own credit or applying for insurance — but they don’t have to be. Any business with a legitimate need to review your credit can access it without your authorization. While soft inquiries are typically recorded on your credit report, they are only visible to you, and they won’t impact your credit score. Credit card issuers use soft credit pulls to get a general idea of your creditworthiness, sort of like an estimate. They then use that estimate to match you with the credit cards for which you are most likely to qualify. Pre-qualifying for a particular card doesn’t guarantee you’ll be approved for that card if you apply, but it does mean the odds are in your favor. Most major issuers provide a means of checking for pre-qualification offers online. The process typically requires your name, address, and the last four digits of your Social Security number. While some third-party sites will automatically check for pre-qualification offers from multiple issuers, you’ll need to check with each issuer individually if doing it yourself. In addition to checking online for credit card pre-approval offers, consumers over the age of 21 are likely to find the occasional unsolicited credit card offer in the mail. These offers can be particularly lucrative, as they often contain exclusive signup bonuses or low-interest deals. You can respond directly to a mailed pre-qualification offer, or head online with your offer code to apply online. 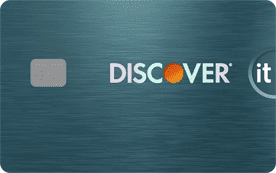 Another common way of discovering credit card pre-qualification offers is to head into your local bank branch and requesting a search for offers from the friendly teller behind the counter. The vast majority of big banks provide credit cards, and they’re typically extremely interested in offering those credit cards to existing members. In most cases, you’ll be asked to select which type of credit card (cash back, student, bad credit, etc.) for which you are most interested in pre-qualifying. 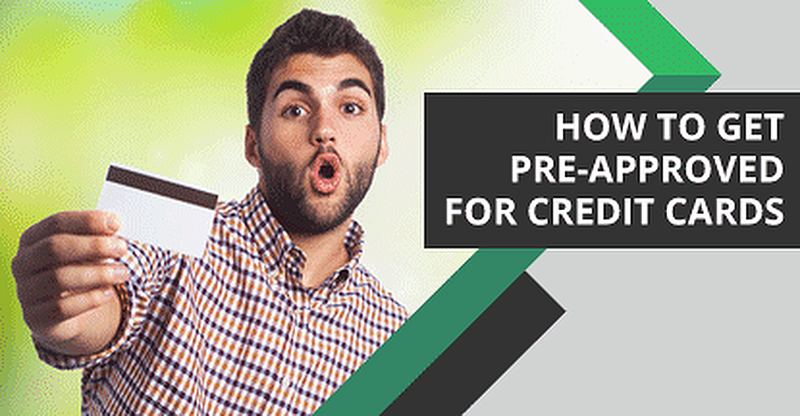 Consumers with good credit will often be pre-approved for more than one credit card, so you’ll likely need to make some choices about which card you’d like to formally apply for out of your options. Remember, each application can result in a hard credit pull, so only apply to one card at a time. The card of choice for anyone with a bit of wanderlust are credit cards offering airline miles. They can be a fantastic way to make your next trip more affordable — or downright free. Choosing between miles rewards programs will generally come down to how you like to earn your miles, and how you like to spend them. 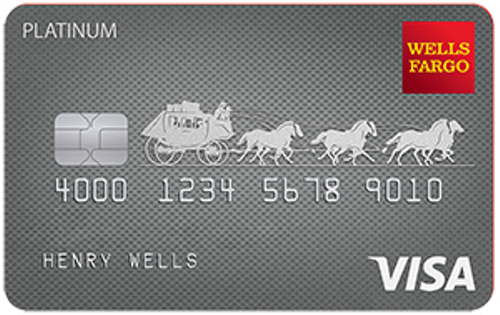 Each card will have its own earning rate, and some cards award bonus miles for travel-related purchases. 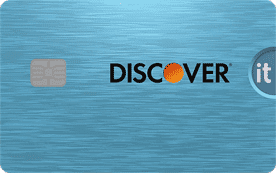 Additionally, you’ll need to decide if you want a co-branded credit card or more flexible redemption options. Cards co-branded with a specific airline will often limit redemption to purchases made with that airline and its partners. Our favorite miles cards include programs that allow you to redeem your miles for travel on any airline — regardless of brand — and free from blackout dates. 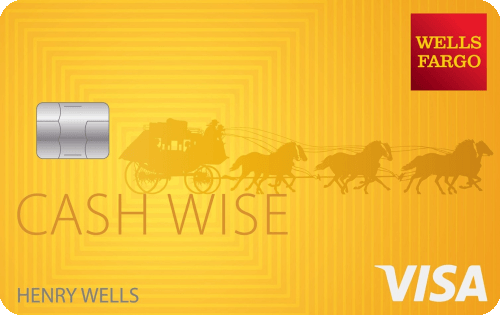 The simplest of rewards programs, cash back rewards offer a percentage of your purchases back to you. These rewards are typically redeemable as a statement credit, gift card, or check. As with other rewards programs, the rate at which you earn cash back will vary by card, with particular spending categories often used to decide earnings rates. The two most common types of cash back programs are a flat-rate percentage on all purchases, or a bonus rate for purchases that fit specified categories. If most of your usual spending falls into the bonus categories, this type of card can be extremely beneficial. 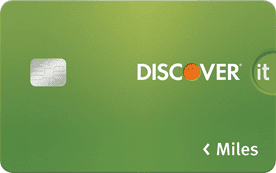 Our favorite cash back cards include both program types, as well as some juicy signup bonuses. If rewards credit cards can be said to have a particular drawback, it’s probably that the interest fees from carrying a balance can easily engulf any savings from your cash back or points card. This is where introductory 0% APR offers come in handy. These credit card offers can provide cardholders with a year or more of interest-free card use, allowing you to carry a balance without paying interest for the length of the introductory period. Your interest rate will increase to the default rate at the end of the introductory term, so that rate should be one of the factors you investigate before applying. Some of the best 0% APR deals will be for cards that also offer rewards, as you can still earn those rewards while enjoying your interest-free term. Our top-rated cards include options that don’t charge an annual fee, increasing the savings potential. As awesome as 0% APR offers are for new purchases, what do you do if you already have a balance? Why, you find an awesome zero-interest balance transfer offer, of course. Providing the ability to transfer your balance to the new card and carry it for a year or more without being stuck paying interest fees, balance transfer card offers can save you a bundle on your balance. Even better, you can still use your new card to make purchases, earn rewards, and enjoy the perks that come with credit card use. On the down side, the balance you transfer to your new card won’t earn you any rewards, and your interest rate will revert to the default rate at the end of your term. Our top picks offer 0% APR on both new purchases and balance transfers to really make the most of your card. Between the need for constant attention and the seemingly endless expenses, owning a business can be an awful lot like raising a child. Unlike an infant, however, your new business can take advantage of a rewards credit card to help extend your bottom line. Many business cards will even provide a lucrative signup bonus to sweeten the pot. Checking for pre-qualified credit card offers can be particularly useful when shopping for a business card. This can be especially important if your business is young, as it likely has yet to establish its own business credit. In this case, your personal credit will be used by credit card issuers to determine the credit risk of your business. Our favorite business cards include options to earn cash back rewards on your business buys. For all that many adults would happily go back to their college days, being a student does have a number of drawbacks, including lacking the credit history and income that make it possible to get a credit card. 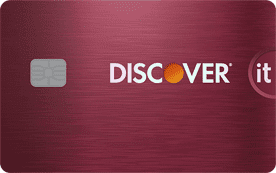 Luckily, many card issuers understand the unique credit position many students find themselves in, and they have designed a variety of credit cards specifically for student applicants. In addition to having more relaxed credit requirements, many student cards come complete with student-centric perks, such as a statement credit for maintaining good grades. You can also get access to important credit tracking tools to make sure you start your credit journey on the right foot. Our top picks for student cards won’t charge you an annual fee, making them ideal starter cards. Typically referring to credit scores in the mid-600s to about 700, fair credit generally indicates someone who is building — or rebuilding — their credit. While fair credit won’t earn you the pick of the litter that having excellent credit would win, you’ll still have a fair number of options (pun intended) from which to choose. If you’re unsure of your approval chances due to a middling credit score, remember to check for pre-qualification offers. Perhaps the best thing about having fair credit is that it’s not bad credit, and you won’t be relegated to the subprime card market. Instead, those with fair credit can usually enjoy entry-level cards from major issuers, including options for earning cash back rewards as offered by some of our favorite fair-credit picks. Whether due to missed payments, a defaulted account, or even bankruptcy, when your credit score has fallen to the low-600s or below, most issuers will consider you to have bad credit. This means you represent a high credit risk and will likely need to select either a secured credit card — one that requires an initial security deposit — or an unsecured subprime credit card. Although they don’t require a deposit, subprime cards will likely charge higher interest rates than other cards charge, and will often come with additional fees. Make sure your new card reports your credit behavior to all three credit bureaus, as our top picks do, so your new credit card can be used to build your credit. However nonsensical it can be, each credit card application you send out can shave several points off of your ever-important credit score. Credit card pre-qualification can be the best way to estimate your approval odd and may help save you — and your credit score — from the sting of credit card rejection. As helpful as pre-approval can be, of course, you may get tired of receiving a new offer in the mail every month once you’ve found your new card. If you’re not interested in getting the latest unsolicited credit card deals and offers, you can opt-out of pre-screened offers in several ways, depending on the duration for which you plan to opt-out. 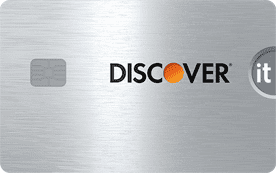 Anyone can opt out of receiving credit card pre-qualification letters online or by phone. To opt-out of pre-screened offers for a period of five years, you can either call the toll-free opt-out phone number: 1-888-5-OPT-OUT (1-888-567-8688), or go online to the official Consumer Credit Industry opt-out page. To opt-out permanently, you’ll need to return the signed Permanent Opt-Out Election form, which can be obtained through the official opt-out website.